Business telephone systems come in many shapes and sizes, and have been designed and developed by many manufacturers, but no system has been as successful as Comdial phones. Comdial phones have been the staple mark phone in hotels for a number of years. Furthermore, Comdial phones are available to businesses and are considered to be one of the finest names in business telephone systems. Now known as Vertical Comdial Phones, Comdial phones has taken a turn in focus and makes systems specifically for businesses of any size. Comdial phone systems come in a range of specifications from the Vertical-Comdial DSU II Package, which comes configured with capabilities for four incoming telephone lines and eight telephone stations to the Vertical-Comdial DSU II Package configured for 16 incoming lines and 32 telephone stations. 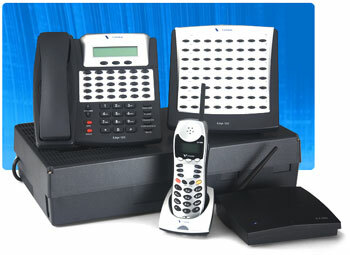 From small to large, Comdial phones has a configuration to suit most business needs. Most Comdial phones have headset capabilities making it ideal for a PBX operating system, or a customer service line system. Hands free calling means that employees will be able to speak with the customer and type or write notes at the same time. Furthermore, Comdial phones can be purchased at the base level, with very few extras for the company that is needing to reserve spending, or at a more sophisticated level that includes voice mail systems, caller ID capabilities, three-way calling, conference calling, and speaker phones. Comdial phones are a versatile option for any size company with the ability to grow and with systems focusing on one type of base upon which to expand. Companies who need to spend less early on, can add on to their existing Comdial phone system without breaking the bank or installing a new system.